The prices: the prices of basic and daily products that we can find at a supermarket are quite similar. However, there are some places offering very low prices. It is important to always check the product dates to be sure it is going to last enough and it is worth to purchase it. The quality: sometimes, a particular kind of product has better quality in a supermarket than another depending on the suppliers. 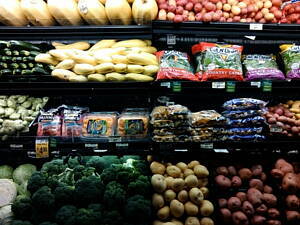 For example, some stores provide imported food that is cheaper instead of local fresh food. This way, vegetable, meat or fruits might be better at a specific store than another and a place selling poor quality meat can have fish of a better quality than any fish market, for example. It has to depend on our preferences and the kind of products. The variety: it can be annoying when we want to buy a particular brand and we are only offered white level products. Variety of brands is important. Also, it is essential to offer products thought for everybody, from organic products to gluten free food for example. It happens the same with cleaning products and other, we must be able to choose environmental friendly items if that is what we want. Promotions and discounts: they are very important since we do shopping at least once a week and we want to save money. Take away deals are also important if we need to have lunch out. The location: I’d rather find a supermarket near me. It doesn’t make any sense to drive or walk far away when we have to carry heavy grocery bags back home. The cleanliness: hygiene is essential for a place where food is being selling. Other services: some supermarkets offer transport services and you can get the groceries delivered to your door. Online grocery shopping is also possible. However, as a tip, pay attention to the product dates. Sometimes the ones expiring soon are the ones packaged to delivier. At Infoisinfo we always work hard to be able to show you where to buy or hire the best products and services for you and your company in Nigeria. This time, we would like to help you to purchase fresh food and the rest of the products from your grocery list and, at the same time, save money. How? By having a look at our list of the best supermarkets in Nigeria, you will find quality and affordable products. Contact details are available on our website, such as phone numbers, address, opening times and websites. In addition, you can have a look at comments and valuations from other clients to get a better idea about the food shops. 3b, Ahmed onibudu street. Ikeja. Lagos. Pako b/s Akoka, Yaba, lagos state, Yaba. Lagos. Lagos. 146C Ligali Ayorinde Street. Victoria Island. Lagos. 31, Hubert Ogunde Avenue. Abeokuta. Ogun. Shop 5, Block 5. Ojo. Lagos. Alhaji Masha Road, Surulere. Lagos. Lagos. 64, Ogunlana Drive, Surulere. Lagos. Lagos. Our customers are assured of purchasing genuine electronics complete with manufacturer’s warranty. 11, Igbosere Street,. Victoria Island. Lagos. You dont have to go anywhere else. At Bayowa Mall, you get everything you need for life's convenience. 5, Amodu Ojikutu Street. Victoria Island. Lagos. A one stop shop to buy xmas hampers, greeting cards, toiletries & cosmetics, gift items and perfumes. 97/99, Adeniran Ogunsanya, Surulere. Lagos. Lagos. 21, Tafawa Balewa Crescent, Surulere. Lagos. Lagos. We buy fresh foodstuffs, stationery etc & deliver to homes, household items, offices all over Lagos. Shop 53, Abiodun Jagun Road, Ogba. Lagos. Lagos. A store offering the sales of gift items, shoes, cloths, baby items, jewelries, bags and accessories. Shop 80 and 93, Alade Market. Ikeja. Lagos. 9, Obafemi Anibaba Street. Lekki. Lagos. Commercial Avenue, Yaba. Lagos. Lagos. We sell quality en and ladies clothing, sunshades, jewelries, wristwatches, bags, shoes, brand labels & de. 24, Maitama Sule Street, Ikoyi. Lagos. Lagos. 116, Ogudu/Ojota Road. Lagos. Lagos. Supermarket and Grocery Stores- Beverages, Gift Items, Household Items, Pharmacy and packaged foods. The Palms Shopping Mall. Lagos. Lagos. Shoprite Holdings is the largest fast moving consumer goods retail operation on the African continent. 17,Issa Williams Street. Lagos. Lagos. 1, Onireke Road. Ibadan. Oyo. We sell Detergents, Poundo Yam, Spaghetti, Kiddies Gifts Items, Groceries And Beverages, Biscuits etc. Tisco Hse 23 Association Avenue Ilupeju. Lagos. Lagos. 47B, Adeola Odeku Street. Victoria Island. Lagos. We provide products and services of the highest quality and the greatest possible value in our store. We are able to supply the growing demand in convenience retail through our online shopping experienc. Oyo Rd, Ibadan. Ibadan. Oyo. Nicon Hilton Hotel. Abuja. Abuja FCT. Our Impeccable after sales will keep your Timepiece ticking for years.